How much does it cost to travel Thailand? In this guide, we’ll outline the cost of traveling Thailand, share Thailand hotel prices and accommodation budgets, give you our best tip for finding cheap hostels and hotels in Thailand, and help you choose the most appropriate Thailand budget for your travel style. 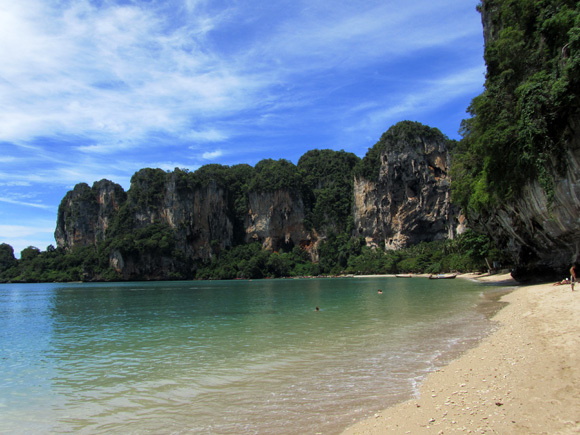 The cost of travel in Thailand has helped make it one of the world's most visited nations. The friendly culture, the spectacular cuisine, the stunning beaches, and the decent prices that tie them all together, make Thailand a world premiere destination. Though some areas of the country are marked by crowds of foreigners, there are still many places that are completely off the normal travel routes, and therefore rarely visited by travelers. Predictably, popular foreign spots in Thailand are costlier than off the beaten track destinations in the country. With the range of tourists that visit Thailand there is also a giant selection of accommodation and price ranges. Eager to bundle your accommodation and tours? Book this G Adventures itinerary! Nicer Hotels: If you are looking to splurge and go crazy, you can get very nice hotel rooms for 2000 THB ($66.23) per night. The best way to find a great deal on accommodation in Thailand is to use Hotels Combined to compare prices with Hostelworld. Hotels Combined includes Booking.com and Agoda in its price comparisons. Most of the popular search engines (Booking.com, Agoda, Hostelworld, etc) have a range of accommodation options in Thailand. However, we’d recommend you start your search with Hotels Combined. Hotels Combined is a meta-aggregator. It combs the other popular booking sites and finds the best price, and then lets you book with the popular hotel booking sites (like (Booking.com, Agoda, etc). As it doesn't include Hostelworld, you need to check that site manually. Take a look at the sample comparison search, which we did for The Overstay Hostel in Bangkok. The first image shows the search results on Hotels Combined — $3 per night for a dorm. The second search shows the search results on HostelWorld — $3.74 per night for a dorm. It may not sound like much, but the initial Hostelworld price is almost 25% more expensive. What about when you actually click through to book? Here, things get a bit tricky, because some of the aggregators add on “fees and taxes” which takes the price back up to $3.74: the same as HostelWorld. However, one of the deals still ended up being cheaper, and we could book the room for $3.48 instead of $3.74. That’s roughly 7.5% cheaper than the HostelWorld deal. A collage showing the actual prices found via Hostels Combined. We get into the specific prices below in our Sample Thailand Accommodation Budget, but we've tried to give a high-level guesstimate about the actual savings you can expect by using this technique. We estimate a 2-week trip through Thailand will cost you between $42.10 and $687.59, depending on your travel style (from super cheap, to more of a flashpacker style). If we assume using HotelsCombined will save you an average of 7.5% on your accommodation budget, that’s savings of between $3.26 (a free night in Thailand) and $51.57 (a really nice meal out, or a nice tour!). We priced this out based on 3 different travel styles: On the Cheap (dorms beds & as cheap as possible, please! ), Upscale Budget (dorm rooms in ‘boutique’ hostels), Affordable Flashpacker (private rooms in boutique and luxury hostels, and 3-star hotels). Of course, prices are based on the time of writing and will fluctuate based on season and other factors. The Overstay – $3.68 per bunk per night. Compare prices on Hostelworld and Hotels Combined. VX The Fifty – $5.01 per bunk per night. Compare prices on Hostelworld and Hotels Combined. il Treno Hostel – $6.48 per night, compare Hostelworld and Hotels Combined. Kikie's House – $3.00 per night. Book on Hostelworld or compare on Hotels Combined. Mapping Hostel – $2.87 per bunk, per night, check prices and availability on Hostelworld and Hotels Combined. Me U Hostel & Tour – $3 per night. Check pricing and availability on Hotels Combined. Echo Beach Backpackers has dorms for $2.97 per bunk, per night, book on Hostelworld, compare on Hotels Combined. Phanganist Hostel – $3.36 per bunk, per night rated 8.5/10 on Hostelworld, compare on Hotels Combined. If you have an early flight, Wanderlust Bangkok Hostel in Ladkrabang town, Bangkok, near Suvarnabhumi International Airport, starts at $11.78 per bunk per night, check them out on Hostelworld, and compare on Hotels Combined. Starting at $11.24, Chern Hostel gets good reviews, 9.8/10 on Hostelworld, compare on Hotels Combined. The lovely Chao Hostel has a 9.5/10 on Hostelworld gets higher ratings, but is also pricier at $12.29 per bed, compare on Hotels Combined. Stockhome Hostel has a fresh, hip look throughout and starts at $7.10 per bed per night, compare on Hostelworld and Hotels Combined. For $6 to $7 per bed, per night, you can stay at So Hostel which is well-located, clean, and has a ‘luxury hostel’ air to the common areas, with simple rooms. 7.9/10 on Hostelworld, compare on Hotels Combined. If you want to stay a bit away from party-focused Haad Rin, $12 per night ($23 for 2 people) will get you a bungalow at the well-rated Tanouy Garden. If you want to stay near the airport, check out Wanderlust Bangkok Hostel. It's bright and clean, will arrange airport transfer and has breakfast included. Compare prices on Hotels Combined. 3HOWWBangkok has an airy and minimalist ‘design hotel’ vibe. Capsule rooms can be had for $10, with doubles (ensuite) going for $44 for a single traveler (they also have a Khaosan Road location). 8.4/10 on Hostelworld, compare on Hotels Combined. Yimwhan Hostel & Cafe offers privates from around $23 (shared bathroom) to $26 (ensuite), and has a nice, urban design look to it (think exposed brick, polished concrete, pops of colour, and an on-site coffee bar). Rated 9.1/10 on Hostelworld, compare on Hotels Combined. Oxotel Hostel offers up a cool urban common space. You can get a double for $29 (shared) to $41 (ensuite). 9.2/10 on Hostelworld, compare on Hotels Combined. Nap Box has bright and airy privates between $27 and $36. Compare on Hotels Combined. Most of the hostels in Koh Pha-ngan cater to budget travelers who want to party. If you want something slightly more upscale and quieter, the highly-rated Alcove Bungalow (9/10 on Booking.com) can be booked for around $26. It’s worth noting that across the water on Koh Samui, some excellent deals can be found in this price point as well, if you want some affordable luxury and aren’t there to party. Repeat your stay at 3HOWWBangkok (Hostelworld / Hotels Combined) or stay near the airport. If you want to stay near the airport, double ensuites at Wanderlust Bangkok Hostel near the airport are $22, Hostelworld / Hotels Combined. Those who are lovers of food are welcomed to Thailand with open hands. Food throughout Thailand is in no short supply, and luckily, it's affordable enough to make eating out a hobby. Eager to bundle your food, accommodation & tours? Book this G adventures trip! 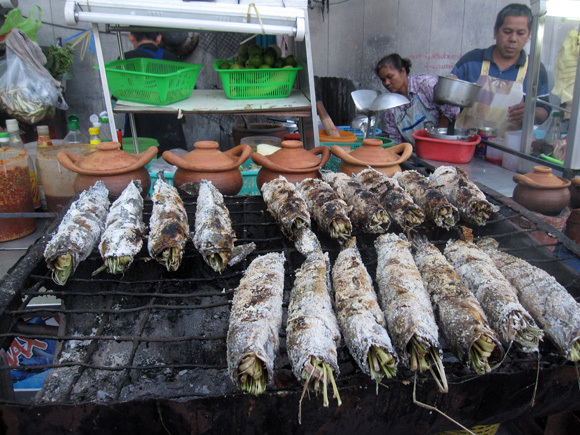 Bangkok is a melting pot of various cuisines; restaurants serving food from all over the world can be found throughout the city. Let’s say you ate a free breakfast at your hostel, a street food lunch, and a restaurant meal: you can expect to pay 205 to 390 THB per day ($6.80 to $13). If you stick to street food exclusively, and eat 3 meals per day, you can each for much less: 90 to 150 THB ($3 to $5) per day. Realistically, most people are probably going to do a combo of the two. If you’re traveling on a strict budget, know that you can get away with paying less than $5 per day on food, not including any drinks (coffee, water, alcohol). If you’re on a shorter trip and you want to enjoy different foods and dining experiences (within reason), plan to spend closer to $10 to $15 per day, per person on food. Over 3.5 hours, this small group walking food tour will introduce you to around 15 different Thai dishes and drinks at 8 different venues, including food stalls, restaurants, and markets. Try fruits, teas, noodles, desserts, and more. Past guests rate this tour very highly. This 4-hour cooking class starts at the market, where you pick-up the ingredients for your creations. Take a tuk-tuk to the kitchen, and begin preparing a multi-course meal, including Thai Green Curry from scratch. Past travelers advice you arrive hungry! 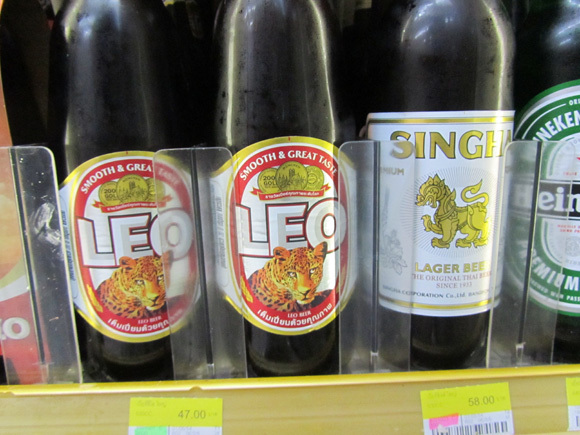 The cheapest way to drink in Thailand is to purchase alcohol from a 7/11 or other convenience store. Some of the fancier clubs can charge a cover of a few hundred THB (especially true in central Bangkok). BTS / MRT: The BTS is an elevated train, while the MRT is an underground train. 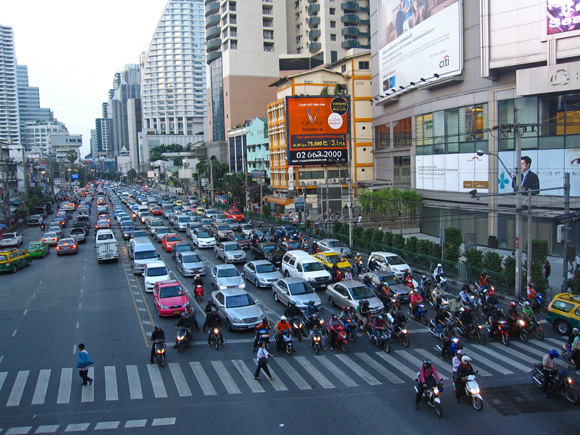 The lines are not overly extensive, though they do cover the main center of Bangkok. Fare costs anywhere from 20 – 40 THB ($0.66 – $1.32) per ride depending on length. Buses are quite easy to use and cover Bangkok with the most extensiveness. Fares are anywhere from 6.50 – 20 THB ($0.22 – $0.66) depending on route and what kind of bus. If you plan to take buses, I would recommend purchasing a bus map route before getting started. Tuk Tuks: Many tourists like to take tuk tuks for the thrill, but taxi's are usually cheaper, unless you really know how to negotiate – upwards of 30 THB ($1) for a ride. There are loads of options for traveling around the country of Thailand. Buses are easy and efficient and there is a big range of transportation classes. Motorbikes are available for rent all over Thailand for around 200 THB ($6.62) per day, but be careful as there are quite a few scooter accidents. Air Asia offers the most competitive prices on budget flights. 2 months or so in advance and it's possible to get a flight from Bangkok to Phuket for 1000 – 1500 THB ($33.11 – $49.66) one-way. If you’re on a budget, it’s best to map out your main flights and purchase them in advance, while planning your trip. That’s when you’re likely to get the best deals! We use <arel=”nofollow” href=”http://www.anrdoezrs.net/click-2587876-12532523?sid=Skyscanner+Home+Page+-+Thailand+Costs” target=”_blank” rel=”noopener noreferrer”>Skyscanner to find the cheapest flight deals. If you’re itinerary is somewhat flexible, you can use the “show whole month” function to show the cheapest days to fly on your route. Here are some example fares on via Skyscanner, booking 2 to 3 months before traveling. 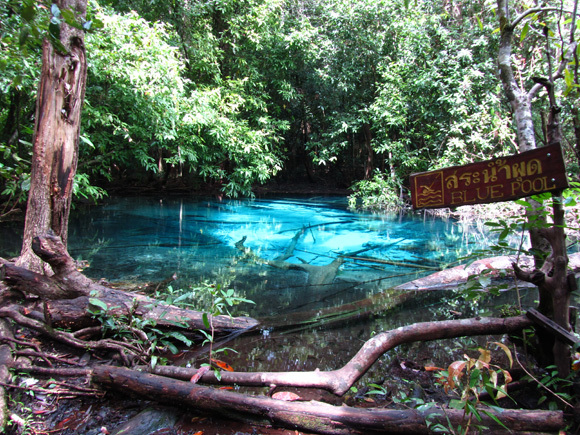 Thailand is not as cheap as a few other neighboring destinations in SE Asia. However, if you steer clear of real touristy areas, the cost of travel in Thailand is still quite decent. Spending time on the country's Southern islands and beaches is a sure way to rack up a higher bill than spending time in places like Chiang Mai. I would say that to have a good time and travel freely, the cost of travel in Thailand is anywhere from $15 – $35 per day, highly varying on where you go and what activities you choose to do. I live in Thailand, with an apartment in Bangkok and spend $220 – $300 per month (and I eat like a king! ).